It’s hard not to be a wine lover when you spend a lot of time in British Columbia. And actor Stephen Amell, who stars in Arrow, has definitely got a love for wine. He and business partner Andrew Harding have created a popular wine club, Nocking Point, that has expanded to included a Canadian program, NP North, and what they put in your delivery four times a year is pretty damn cool. Every three months you’ll get beautiful wine, coffee, and extra goodies, shipped straight to your door, anywhere in Canada. For the first month, NP North’s box will include two bottles of the exclusive NP North Red Blend, which is the result of an ongoing partnership with one of the Okanagan’s hippest wineries, The Hatch. The West Kelowna, BC winery worked with Nocking Point to custom blend Cab Franc, Merlot, and Cab Sauv sourced from the Similkameen Valley, and age it for 16 months in French oak. For those living outside of BC, this is a great chance to get your hands on wine from The Hatch, which is a super cool small wine producer known for their laid back vibe and noteworthy wines. But back to the NP North club: Also in the first box will be a bag of Nocking Point Coffee from a delicious partnership with Kelowna’s Canoe Coffee Roasters, and “Snowmageddon,” a third edition custom Nocking Point Comic. For Canadians, Amell’s home country, NP North will begin by accepting 500 people into the wine club and continue to grow by 250 members in each quarterly shipping. Once full, people can sign up for the waitlist and will be added to the wine club as soon as possible. Membership is open now; sign up online. While the US Nocking Point has over 5,700 members, and 6,000 on the waiting list, NP North will have a rolling membership availability; they’ll take 500 inaugural subscribers, and will grow by 250 members each ensuing quarter. Boxes will run $120 to $140 CDN, including shipping and taxes. 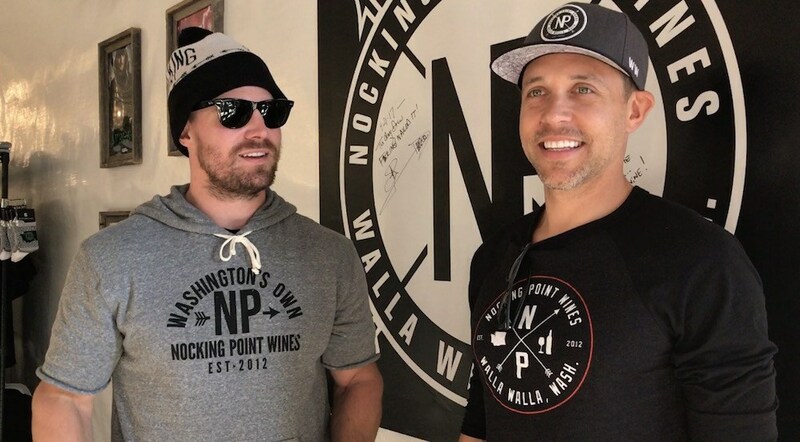 If you’re curious to see what Nocking Point is up to on the other side of the border, they’ve recently opened a tasting room in their Walla Walla, Washington location which is full of Arrow memorabilia, to boot. 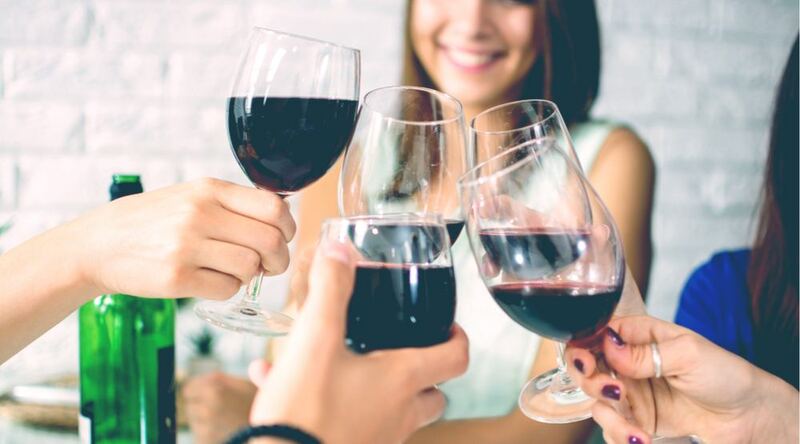 Down south they’re doing some cool celeb collabs, too–stay tuned to find out if they will be doing anything with some famous folk for us Canadian wine lovers.